I first heard of Snap n Save mobile app sometime late last year. I downloaded and started using the mobile app a few months ago. 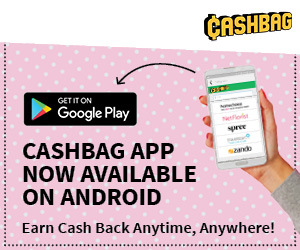 Having read and come across so many blog posts by fellow frugal bloggers, especially in the UK and the US, about cash-back apps, I was thrilled to finally come across a similar app for us to use in South Africa. It’s a cash-back app meaning I can get a certain amount of cash back when I buy items that are featured in the app. To download the app simply search for Snap n Save in your mobile app store and after downloading and installing, register with your cell phone number and a password. Then you’re good to go. Browse the offers and book the ones you want. You then have 48 hours to buy the item before your booking expires. You then take a photo of your till slip and wait up to 48 hours for approval. If the photo has been uploaded correctly and all the necessary information displays accurately on their side, you get the cash back into your Snap n Save wallet. When you decide to redeem your cash you will receive a wi-code coupon and you can use it at any Pick ‘n’ Pay or Dis-Chem and quite a few other shops. You can read in more detail about how it works in here. What do I like about Snap n Save? You definitely save money on certain items. Some items display as high as 51% off. 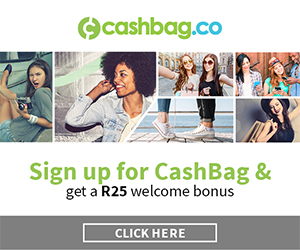 Most items offer anything between R1.00 to R15.00 in cash-back per item and those savings can quickly add up. And once in a while Snap n Save will offer even higher savings than that so it’s best to keep checking the app regularly. What I’ve also seen is that they offer cash back on certain items which are on special in store already so you save double, so to speak. Do I use Snap n Save? I have it installed on my phone. I check for new additions each week. It seems new items are added on Fridays and some of those items get booked very quickly, especially the ones with the higher savings amounts. I guess the app has become popular since I first came across it. How many items have I bought and cashed back using Snap n Save? Quite a few, and I am using the Snap n Save app more and more often. They offer everyday items such as bread, milk, vegetables, oil, cool drinks, alcoholic drinks, chocolates, pet food, household cleaning materials, etc. and some of those are labelled as ‘any milk’ and ‘any bread’, for example, so you can choose to buy the brands you want, or even the ones that are on special in store. And redeeming the Snap n Save voucher at a Pick ‘n’ Pay till, for example, is easy enough. Simply present the code on your mobile phone and that’s pretty much it! While I do prefer the instant vouchers/coupons/specials available on the grocery items that I buy in store each month, there are more and more items coming up on the Snap n Save app which are on my shopping list for the month anyway so I am happy to be snapping away and accumulating the cash-back in savings! And the good news is that Snap n Save have now added the option of transferring your accrued savings into your bank account via EFT, so this might be an idea for you if you’d prefer not to spend but rather bank your savings! you will receive R5.00 when you try out your first snap with any till slip you have lying around your home and another R5.00 when you snap your first legitimate till slip. I will also receive R10.00 when you snap your first coupon! Hi Natalija, firstly love your blog! Great article about snapnsave, I started using the app in Dec but after having problems redeeming the cashback, I stopped. But I have however started using it again this month, since you get double the cashback on items if you use it via wechat, and you are now able to withdraw the cashback from any standard bank atm, or use it for prepaid airtime and electricity. Every last friday of the month they offer “money makers” which gives you more cashback on certain items, for example this month I made R3 on a tray of eggs (got it on special for R39,99 and got R43 cashback on snapnsave) and also got R10 (which doubled to R20 as I used wechat) back on a 6-pack of longlife milk, any brand! Might be worth looking into again! Hi Natasja! Thank you for your comment! 😊 I have since downloaded we chat and registered to book snap n save items for double the cash back (although they say it’s for a limited time only). But it might be worth another try to see if I can get more cash back. Thank you for the tip! 😊 I will definitely be updating this post with this new information. I also found that there were more deals on items or brands I wouldn’t necessarily buy but there were a few good deals also – for example a big 150ml bottle of Tabasco which costs +- 85 in store, i got R40 back! Hi there! I’m a newbie and just discovered your blog site. I’ve been using the Snap n Save app for over a year and have accumulated a wallet of almost R550, so looking forward to cashing out. I’m getting a bit paranoid – don’t want the “money” to sit there too long, just now it disappears! 🙂 I’ve bought a lot of items that I use on a regular basis, however, at times it is a bit frustrating when some people don’t release the vouchers they have no intention of using before they ‘expire’. Often, I’ve been waitlisted for an item, gone shopping and come home to find that the item has been released back into the pool and was now available to me. Of course, I am not going to dash back to the shop to buy it and I usually end up releasing it to someone else in the queue. Other than that, it is a simple, yet effective way to save on your everyday groceries. I also noticed that they are a bit more lenient on some of the products, (eg the bread and milk) as they no longer prescribe what brand you must buy, which makes a difference. They used to do that in the beginning, but I think people complained, so you can buy whatever brand you prefer. PS: If you enjoy online shopping, have a look at Vouchercloud. I’ve had LOADS of bargains with their discount voucher codes and saved a lot with them on Zando and Spree. You can download the app to your phone, or get the codes directly from the internet. If you’re anything like me and don’t like shopping malls, Spree is the perfect solution. The fact that you can return the items you don’t want for free, is a bonus. You have 30 days to make up your mind about your purchase, so you have the option to rethink your purchase, which I love as I have often had buyers remorse and then just kept the item anyway because it was too much effort to go back to the shop and return it.